Speak to Wizard Mizgog located in the Wizards' Tower. 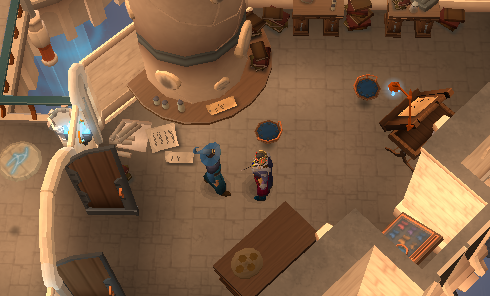 TTo begin the quest you need to speak to Wizard Mizgog in the Wizards' Tower, which is located south of Draynor. He is located on the first floor/second story of the tower and in the southeast portion of that floor. Start talking with Wizard Mizgog and ask him to please give you a quest and you will find out that he needs help with something. 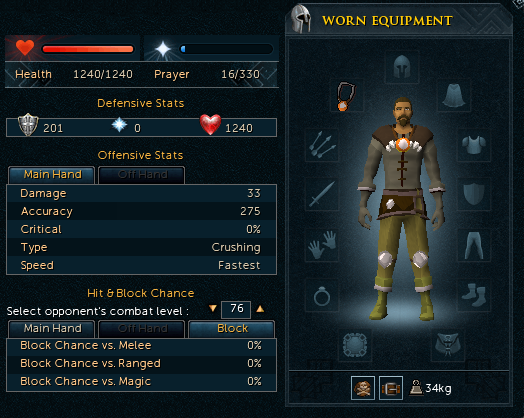 It would appear that a rival of his; Wizard Grayzag has enlisted the help of hundreds of Imps. He tells you that the Imps have stolen his four magical beads and that they are located all over the kingdom. He would like your help in getting them back. Tell him that you will try to retrieve them for him. 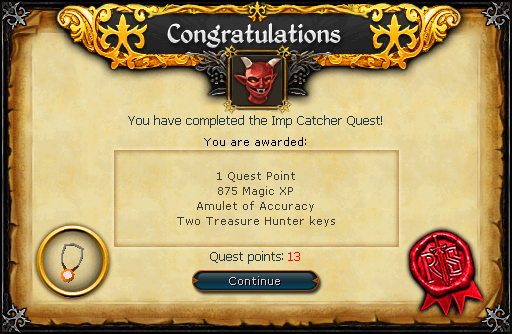 There are two ways of getting the beads you need to finish Imp Catcher. By far the easiest way is to buy them from the Grand Exchange or from another player. However, if you are up for a challenge and think you have a bit of patience, you can try and kill some Imps to get them back. 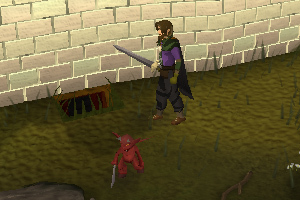 The Imps are spread all over RuneScape and you can find them nearly anywhere there is a major city or town. The most common places to find them is south of Falador, just below the wall, as well as around all the entrances and exits of Varrock. They are difficult to kill because the quite often teleport around and out of battle before you get a chance to deliver the final blow. If you are a higher level, this will be no problem as you can usually just one-hit-kill them. Another problem is that their drops aren't always 100% beads. They will drop Bread, Ashes and Flour Pots just to name a few. Just stick at it and you will get the beads in no time at all. Once you have the beads head back to the Wizards' Tower and talk to Wizard Mizgog again to give them back to him. He will mention that he needs to find out if they're his beads and then he will place them into a device on his table. This triggers a cut-scene and ultimately the end of the quest. As shown above one of your rewards for completing this quest is an Amulet of Accuracy. As the name suggests it provides some accuracy bonus. After the quest Mizgog can sell you the amulets for 5,000 gp each, which is a bit expensive so it is suggested you find a better, cheaper amulet if you happen to lose this one.